It seems unfortunate and frustrating that musicians as talented as the drummer Abbey Rader should be forced to live out their musical lives in relative obscurity. What’s worse is that many musicians playing today don’t even know of him and the role he played in shaping the rhythm of the 60’s and the 70’s. Many of the drummers of that era and before were colourists who turned the rhythm section into a larger canvas than it was, painting in a myriad of colours and a palette as magical as a Pandora’s Box. 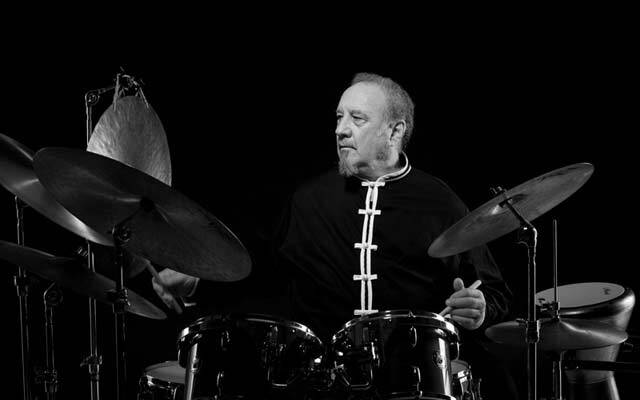 What is recognised today as playing around the pulse, rhythm design built around odd metres and even melodic playing was the primacy of drummers such as Andrew Cyrille, Rashied Ali and a handful of artists including Abbey Rader and yet the media and the industry pays scant attention to many of them. Perhaps this disc, First Gathering will change some, if not all, of this attitude as there is much to be learned in the form of keeping time, painting colours and melodic playing from this set. This quartet may not be the first of its kind to play without a fixed pitch instrument such as a piano, or even one of variable pitch – a guitar may be an alternative. But what Mr. Rader and his cohort do is to obviate the need for both and still play what might be considered songs. 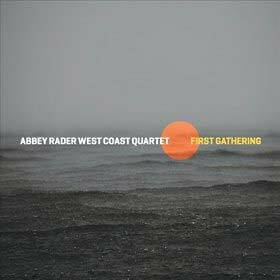 Dissonance is not only acceptable in some circumstances and not in others and Abbey Rader’s West Coast Quartet uses this melodic device remarkably well here, in a magisterial contribution to modern music. All of the music contained in this disc, exhausting and elating in their strength and mastery, are on a scale far beyond the offerings or other more celebrated drummers. The four transcendental pieces are works that the quartet takes on with bravery and by storm, riveting your attention in every bar especially in the extended improvisatory sections. Thus a vast, extended soundscape is created by the time of the dénouement of each piece in a dazzling manner as each musician makes vivid responses to the other using angular phrases that criss-cross paths like you would only imagine in an ambitious geometric architectural edifice informed by dissonant edges and curves. True, masterpieces don’t come easier, but then nothing brilliant in music ever does. Abbey Rader and the West Coast Quartet make it clear, that they are not interested in just playing a gig. This is a performance that must be viewed as a towering landmark in the ongoing history of contemporary music. It is both calming and terrifying, and the music is played with unfaltering authority throughout, many times concentrating on grace rather than force especially in the build-ups at the end of the songs. The sound is of demonstration quality and I can’t wait to hear more from a formidable and compulsive artist such as Abbey Rader.